The punk-rock band Green Day released a song titled “Wake Me Up When September Ends” as part of its 2004 album American Idiot. While the song was released in 2004, it may never be as timely or relevant as it is right now for Kevin Harvick and the No. 4 Jimmy John’s new 9-Grain Wheat Ford Fusion team for Stewart-Haas Racing (SHR) as they head to Charlotte (N.C.) Motor Speedway for Sunday’s Bank of America Roval 400 Monster Energy NASCAR Cup Series race – the final event in the Round of 16 and first cutoff race of the 2018 NASCAR playoffs. The 2014 NASCAR Cup Series champion is the series leader with seven points-paying wins, 20 top-five finishes, 23 top-10s, and 1,274 laps led. However, his bid for a second NASCAR Cup Series championship got off to a rough start after cutting a right-front tire in the playoff opener at Las Vegas Motor Speedway that led to him retiring from the race early with a 38th-place finish. 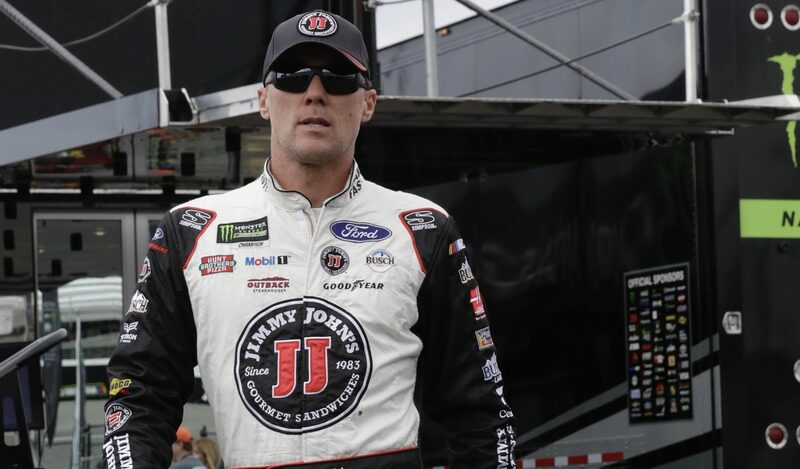 Harvick and the team rebounded strongly with a runner-up finish Saturday night at Richmond (Va.) Raceway to all but secure his advancement into the Round of 12. He is now third in the playoff standings with 2,113 points, 57 ahead of the final transfer position and will clinch his position in the Round of 12 by just starting the race at Charlotte. That’s good news for Harvick and the No. 4 team as they enter the first elimination race of the playoffs. But there’s a huge unknown to contend with this weekend – the 2.28-mile, 17-turn road course and oval hybrid known as the “roval” at Charlotte Motor Speedway. Harvick now will race at Charlotte for playoff points by way of stage wins and a race win. Fortunately, he knows his way around both road courses and 1.5-mile ovals. The Bakersfield, California, native is one of only three active drivers to claim a NASCAR Cup Series victory at both Watkins Glen (N.Y.) International and Sonoma (Calif.) Raceway. Kyle Busch and Martin Truex Jr. are the others to make that claim. Harvick added his first career win at Sonoma in June 2017, when he started 12th, led 24 laps and finished ahead of SHR teammate Clint Bowyer when the race ended under caution. He also won the NASCAR K&N Pro Series West race at Sonoma the day before. Harvick’s lone Cup Series victory at Watkins Glen came in 2006, when he started seventh and led 28 of 90 laps and beat current SHR co-owner Tony Stewart to the finish line by .892 of a second. The driver of the No. 4 Jimmy John’s new 9-Grain Wheat Ford Fusion has age and experience on his side. Five of the past seven champions have been 37 years of age or older when they captured the Cup Series title and his Freaky Fast team is just fueling up for the fight to the finish as the team tries for its second championship. The No. 4 team will be playoff point racing at the roval – trying to win at all costs. Otherwise, it’s wake me up when September ends. What will be the best places to pass and the most treacherous parts of the new roval track at Charlotte? Will it be nervous time for those drivers who are not locked into the Round of 12? What’s it like having all four Stewart-Haas Racing cars in the NASCAR playoffs for the first time?